This book talks of perhaps one of the greatest education experiments in the history of America. In 1894 John Dewey moved his position as Chairman of the Philosophy Department at the University of Michigan to assume the position as Chairman of the Department of Philosophy, Psychology, and Pedagogy at the University of Chicago. He would remain there until 1904, his departure prompted in great part by his dissatisfaction regarding his wife's treatment by the administration in her role of principal of the Laboratory School. 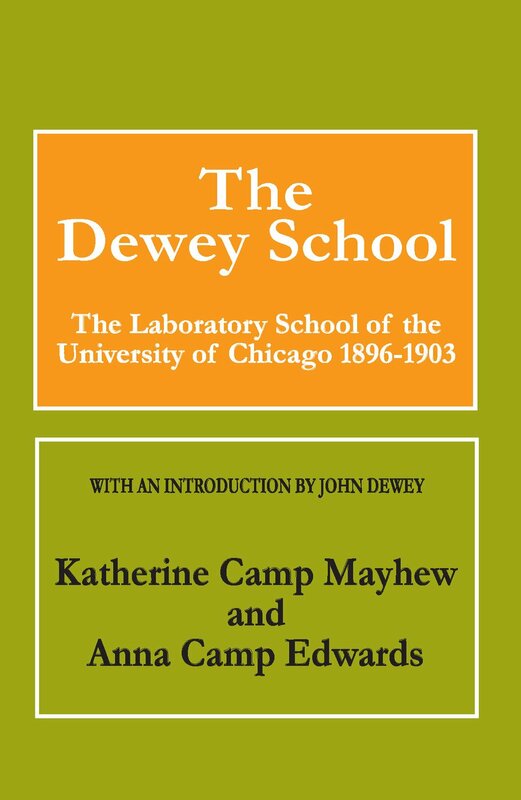 At this time Dewey was anxious to translate his more abstract ideas into practical form and he saw the position at Chicago affording him a rare opportunity to do this.The school itself was conceived by Dewey as having an organic functional relation to the theoretical curriculum. Just as Dewey was anxious to merge philosophy and psychology and to relate both of these disciplines to the theoretical study of education, similarly he saw the school as a laboratory for these studies analogous to the laboratory used in science courses. This effort to merge theory and practice is perhaps the major characteristic of Dewey's entire professional career. In the opening sentence of Dewey's remarks in his essay in this volume, "The Theory of the Chicago Experiment," we see the extent to which this problem preoccupied him: "The gap between educational theory and its execution in practice is always so wide that there naturally arises a doubt as to the value of any separate presentation of purely theoretical principles. "This book is an accurate and detailed account of one of the most interesting experiments ever undertaken in America. It provides the reader with the complexity of John Dewey's abstract philosophy experimentalism.